CrossFit is a cardiovascular and strength conditioning training regimen that makes use of weightlifting, gymnastics, strength training, plyometrics and cardio activities. A regular training session is called as WODs or Workout of the Day are usually time and rep based collection of activities that works the whole body. From experience, WODs are designed to exhaust you with your body burning at least 200 calories for a 10 minute routine. CrossFit gyms are called "boxes". I scheduled myself to undergo a fitness test at my current gym, 360 Fitness Club. But coming from a fun but tiring weekend of running the afroman distance at Run United 2, I opted to rest and recover for that day. Instead, I decided to go box-hopping. Let me back track a little. I have been having fun working out with the 30 minutes circuit, body weight circuit classes, STC classes, even with Zumba, Body Jam, Power Yoga and Body Balance at the 360 Fitness Club. The regular routine had kept me in pretty good shape. Having experienced a fitness competition in the GNC Fitness Throwdown had made me realize I wanna be doing more WODs in the future, while improving my fitness level in the process. 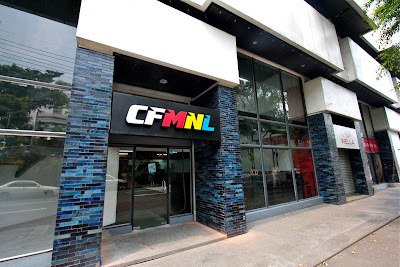 Also a few months ago, CrossFit had became a fitness option for Makati folks like me with the opening of CFMNL Makati and CrossFit Mad Minute. Coming from my office in Ayala, I crossed Dela Rosa and made my way to Legazpi Village. CFMNL is located in Unit 102 GF First Midland, 109 Gamboa Street, Legazpi Village, Makati City. It wasn't my first time going to the gym/box but I wanted to see how long the walk would be and to talk to the gym secretary to inquire about the rates. The box is fairly new so most of the WODs are for beginners since they haven't held a foundations class yet. So a WOD in this box would mostly be for beginners with little weight lifting exercises. The rates are as clearly shown in their official website. But I paid particular attention to their promo rate. P4,500 - 1 month and P4,000 - 3 months. Honestly, it was over my estimated budget so I am still contemplating if I should join. But their schedule of 7AM, 6PM and 7PM classes fit my schedule. This gym is closer to my office and around 15 minutes away from my current residence. 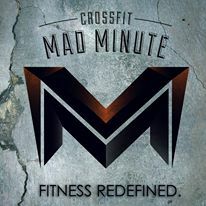 One lazy afternoon, I discovered the existence of CrossFit Mad Minute. This box is a 5 minute walk from my current residence but I haven't visited the place before. It is located in 7433 Unit G Yakal Street, Makati City. They offer free trials almost every Saturday 3PM. The box is a month older than CFMNL but their clients have been working out in their partner box at QC (CrossFit Insurrecto) so their WODs are a mixture of beginner, intermediate and advanced levels. They started holding foundations classes in May (the first June foundations class just ended when I visited the gym), too. The box's website is still being created so most of their information are posted in their FB page. Their rates are as follows: P4750 - 1 month; P4450 - 3 months; P3950 - 6 months; P3450 - 1 year. They are also offering discounts to the GNC Fitness Throwdown participants by slashing off P500 to the rates of 1 month to 6 months packages. Their long term rates are more friendly to my estimated budget and their class schedules of 6AM, 7AM, 7PM and 8:30PM is more suitable to my schedule so this is my best choice so far. Unfortunately, they don't offer credit card charging yet so no points for me. I still have a month until my gym membership expires so I'm still have a few more weeks to decide whether to fully commit to CrossFit or not. Also, I was able to get discounted sessions to both gyms with Deal Grocer so I could get a better feel before committing. I also have to access my work schedule as I am changing shifts soon. Anyway, I like this fitness program since it gives its participants a measure on how to perform. An achievement is not just about looking good or losing weight. The measures are about exceeding your records or setting them. Since your fellow cross fitters are also doing the same, it is also a motivation to keep getting better with competition. I want to try CrossFit actually, but I don't know any place here in the province who's offering that. Cross fit does generate faster results and is also more efficient though it's a bit pricey. I haven't had gym membership since I quit Fitness First years ago.